One day, several months after the shoplifting incident, Marta approached my mother with the news that she and her "gentleman-friend" were becoming serious about each other. She asked MD's permission for him to visit Marta at our house one or two evenings during the week, after she had completed her domestic responsibilities for the day. MD did not think this was a good idea. "Marta, this is most unusual. It is one thing for you to see a man during your day off, and I'm happy that you have found someone you are fond of. However, it is another thing entirely for him to come by this house for regular visits during the week. What about Telma? What will happen with her when he spends more time with you at the house? I'm concerned about her, since she lives with you in your room downstairs, and about my own children, too. They won't understand who this man is or what's going on, particularly since you aren't married to him." "Oh, but Señora, we plan to get married! We must save up our money first so we can get a place of our own together, so he can become a father to my little Telma." "Marta, is this the same man who would park the car on the street that Mrs. Westerfield called me about?" "It is true, Señora. He has a good job at the Ecuadorean Embassy where he drives the cars, and he is a good man." "Marta, he may be a 'good man,' as you say, but I'm concerned about the appearance of a strange man you are not married to spending time at my house. What am I to tell Mrs. Westerfield when she calls me again, and what am I to tell my own children, or Mr. Darling, for that matter?" At this point, Marta was in tears. She promised that if MD agreed to allow Marta's gentleman-friend to come and see her, Marta would ask him to take her out if he was alone. She would not invite him into the house. She also promised my mother that she would only ask him in to visit with her if he was accompanied by one or more of her girlfriends, who would act as chaperones and keep an eye on Telma during the visits. After thinking it over and talking about it with my father later that evening, MD reluctantly agreed to Marta's request. And so Big Daddy came into our lives. 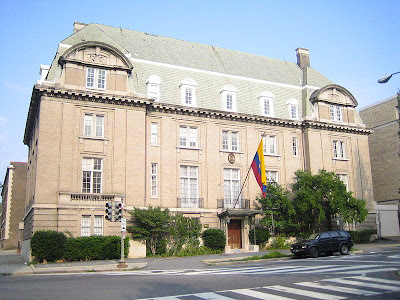 The present Ecuadorean Embassy in Washington, D.C. True to her word, Marta lived up to her side of the bargain. Whenever Marta's gentleman-friend called during the week he would either take her out—if he was alone—leaving Telma behind in Marta's room, or he would arrive accompanied by one or more of Marta's girlfriends, drawn from the community of Central American domestics who worked in the city's embassies. He always arrived and departed in the Ecuadorean Embassy's black limousine, ferrying Marta's girlfriends back and forth with him. This arrangement continued for several months. During that time my sisters and brother and I got to know Marta's gentleman-friend, who was known as Big Daddy, reasonably well. I don't recall if I ever learned his actual name, because everyone called him Big Daddy, including Marta, Telma, my siblings, and me—and my parents, too. Our basement became something of a clubhouse for Marta and Big Daddy and Marta's girlfriends, who would assemble there after dinner and spend several hours sitting around gossiping in Spanish, watching television, and listening to records. While I was curious about what was going on downstairs, MD discouraged me and my siblings from visiting there, saying that we should leave Marta and her friends alone and not bother them when they were socializing. On the other hand, MD would occasionally send me down to the basement to find out what was going on, asking me to report back whether the coast was clear for her to go downstairs to fetch something in the laundry room or get something from the freezer. MD was not comfortable going down herself, unannounced, as it created a commotion among Marta and her friends when "La Señora" unexpectedly appeared among them. This arrangement became increasingly trying for my parents, though, who felt their house was being overrun during the evenings by Marta's friends. My mother informed Marta that she needed to limit the gatherings to no more than once a week, as things had simply gotten out of hand. Marta was probably not all that surprised by this development and promised she would do so. Several weeks later my parents went on a week-long trip out of town and left me and my sister Hermione and my brother, Frecky, behind in Marta's care. An advertisement for 1963 Cadillacs. Is that Big Daddy's in the rear? No sooner than my parents' car pulled away from the curb did Big Daddy arrive at our house in the Ecuadorean Embassy's limousine and move into Marta's room for the duration. Telma was dispatched upstairs to stay in my sister Camilla's bedroom. While Big Daddy and Marta may have slept in her room downstairs during my parents' trip, they spent all of their waking hours upstairs, making themselves at home. They hung out in our living room, watched television in my parents' study, and ate all of their meals with me and my siblings and Telma in our dining room. Big Daddy sat in my father's chair. Marta sat in MD's. It was as if we were one big happy family! But such happiness was all too brief, Dear Reader, and it came to an abrupt end only shortly thereafter . . .
Oh, please tell me more. I will be waiting right here. It's torment. Now I know it's at least a week before we'll see Part IV. whine, whine, whine. But I'm not about to let go now. The brass of Marta and Big Daddy. I hope Mr. & Mrs. Darling return home early. Very early. I just had to return to tell you how I dreamt of your story. Yes, it's on the best seller list. You need an agent! Reggie, you are a supreme story-teller, and you have that knack for making your readers thirst for the next installment. I can't wait for the finale! Thank you, MDR, I am glad you are looking forward to the finale, as it is a doozy! 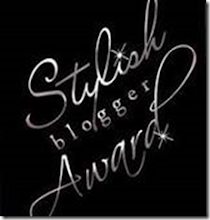 Loving this ongoing post! It's very amusing, and FUN! Thank you, Dean, I'm glad you like it. More to come! Mrs. Westerfield will certainly not stand for a slippery Latin lothario fancying himself the new Lord of the Darling Manor?!?! And some people thought that your previous rules for the behavior of domestic servants were excessive. Apparently, you were just barely scratching the surface of propriety considering the contingencies that may arise. was there any proof this guy actually was employed by the E. E.????? How many limos can Ecuador afourd????? Love it. Every domestic employer's nightmare!!! Just wait, it gets better! Give the help an inch and they will take a mile. Can't wait for the next installment. Love the old Caddy pictures. Oh, Reggie, dearest Darling, you are a horrible tease! Have mercy and tell all soon! I come here just for stories like this one. Your writing style is so enchanting. You make modern stories so ancient. I was born in early 60s, the story could well be one of mine, yet, it sounds like it is so old that occurred several generations ago. Dreamy, indeed, as another commenter said..
Can't wait for the denouement! This is delish! We are all like bees around a honeypot. Please, put us out of our misery soon Reggie.